Recently in my church, there was a seminar on making healthy substitutes to processed snacks. Why? They are mostly high in all kinds of things you really don’t want in your body; eg processed sugars, sodium and/or weird unpronouncable chemicals. And don’t we all love to snack? I know I do – -a packet of plantain chips here, some sweet popcorn there, and don’t even get me started on mt love for chocolate Digestives. But lately, I’ve become more aware of my body and I am making a conscious effort to take care of it. After all, my body is the Temple of the Most High. So, I’ve been trying to make a concerted effort to eat healthy. So of course, when this seminar held, I was paying attention. One of the options suggested was carrot chips. In my mind, it sounded like a great replacement for plantain chips, and it seemed pretty straightforward to make (you know me, the easier the better, no time for stress 😀 ). 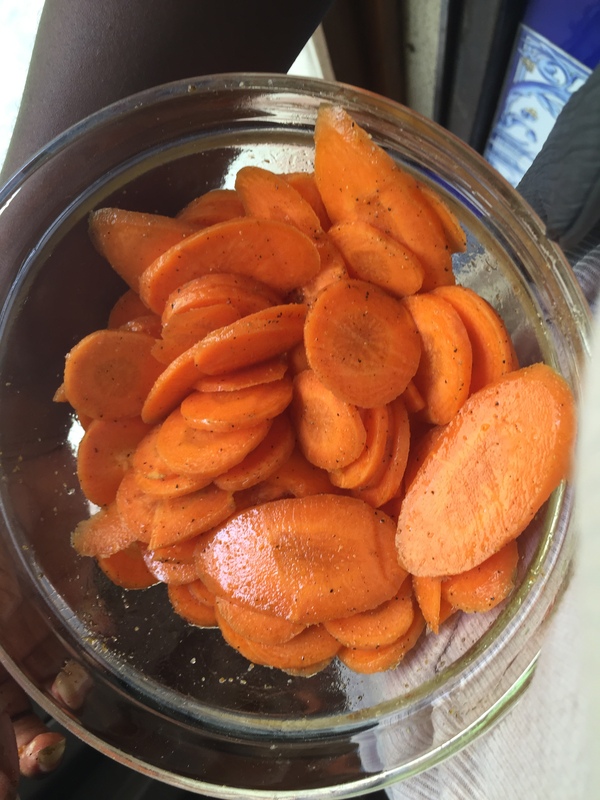 Carrots are easy to get, I could control the amount of salt/sugar/whatever I put in it, I would be avoiding whatever harmful preservatives packaged chips might contain. It’s a win-win! A free Saturday came my way, and it was carrot-chips time! 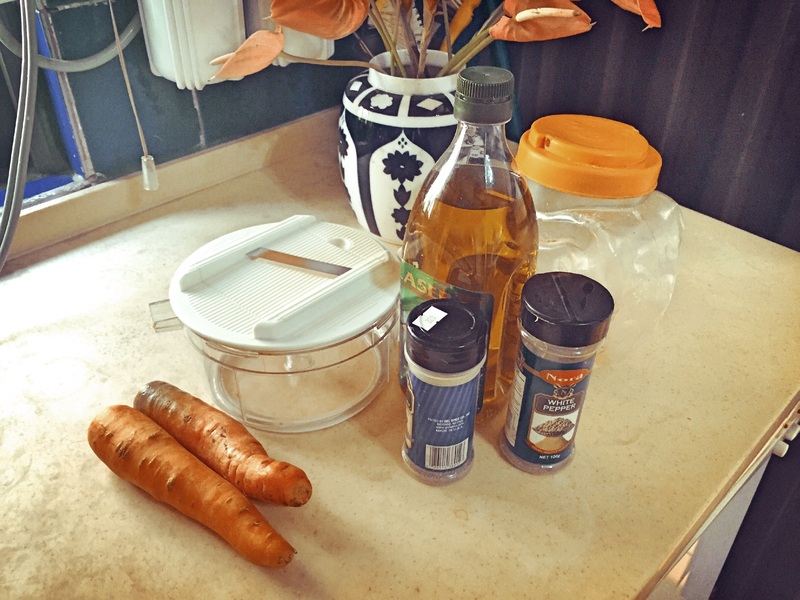 – Preheat your oven to about 230 °C. Now the temperature is tricky. 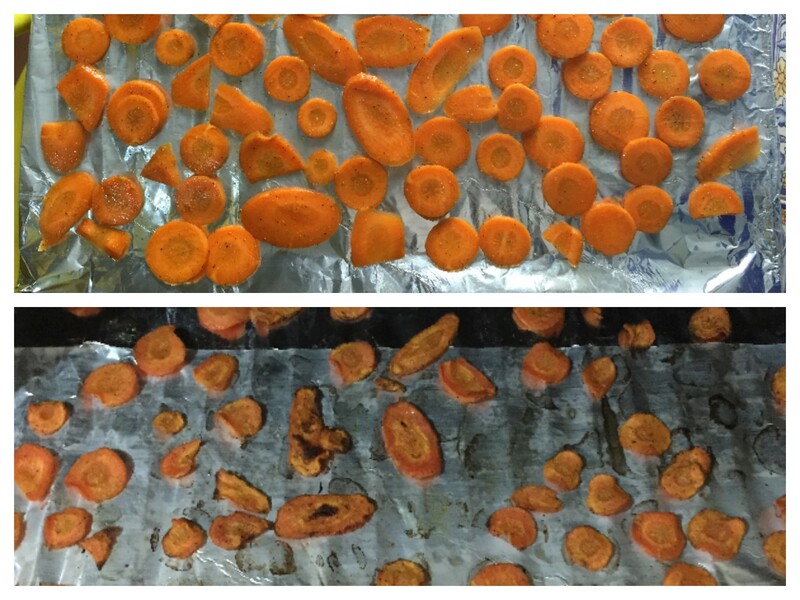 I started out at 180 °C but that turned out too low – the carrots were getting softer but not hardening up. I then blasted at 290C, but then they heated up too fast as some got burned as you will notice. So I recommend a mid-point: 230-245 °C. Left slicing method will give you oval-shaped chips; while right will give you circular ones. 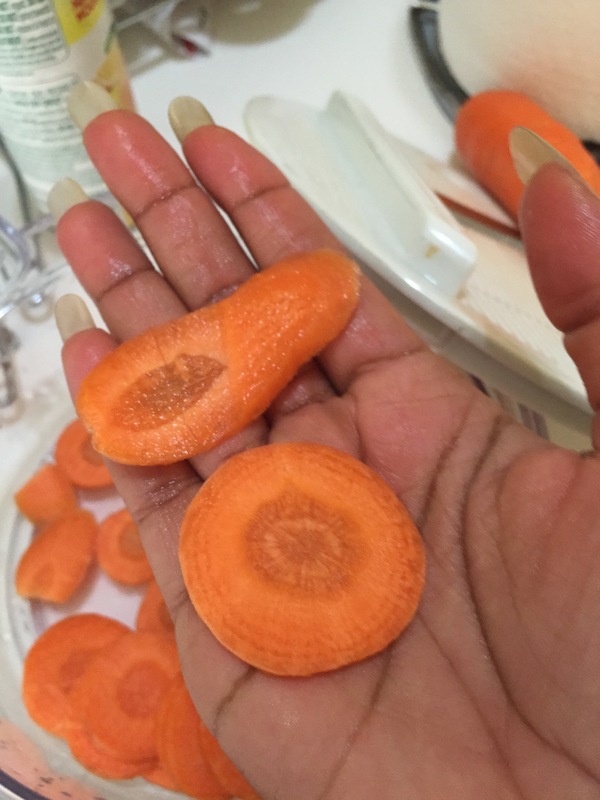 – Place carrot slices on oven tray and place in oven for… Because of my jacked up temperature thing, the time may vary for you. Mine ended up in there for almost an hour. I suggest you check periodically and taste. If the chips are getting soft but not hardening, you might want to increase the heat. But if they are burning, but still soft, you might want to reduce heat. I don’t think it should take more than 45 minutes. – Bring out chips, serve and enjoy! You will notice that the chips shrink significantly. 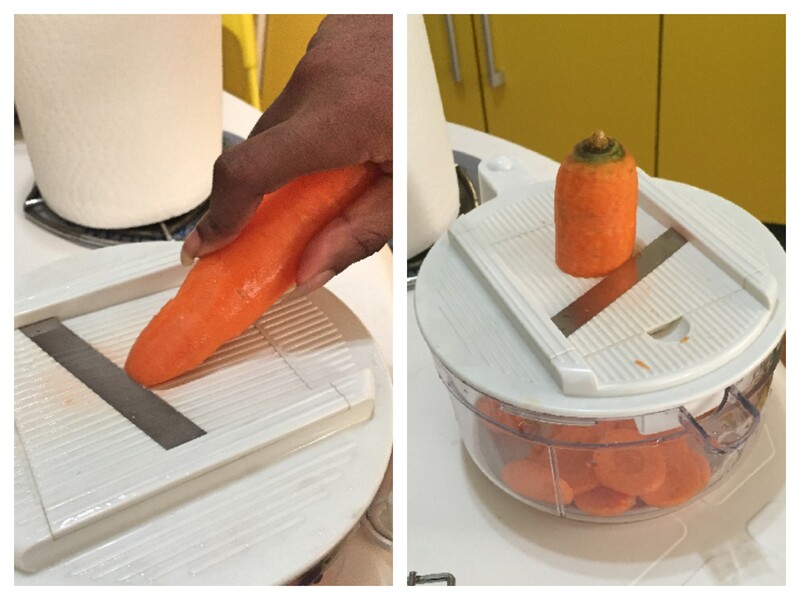 I used 3 big carrots and it looked more than enough after I had sliced. but by the time the chips were ready, it had just about a small bowl-full (probably about the amount you find in a regular plantain chips pack). So next time I should at least triple the amount and will probably do in batches or use more trays. 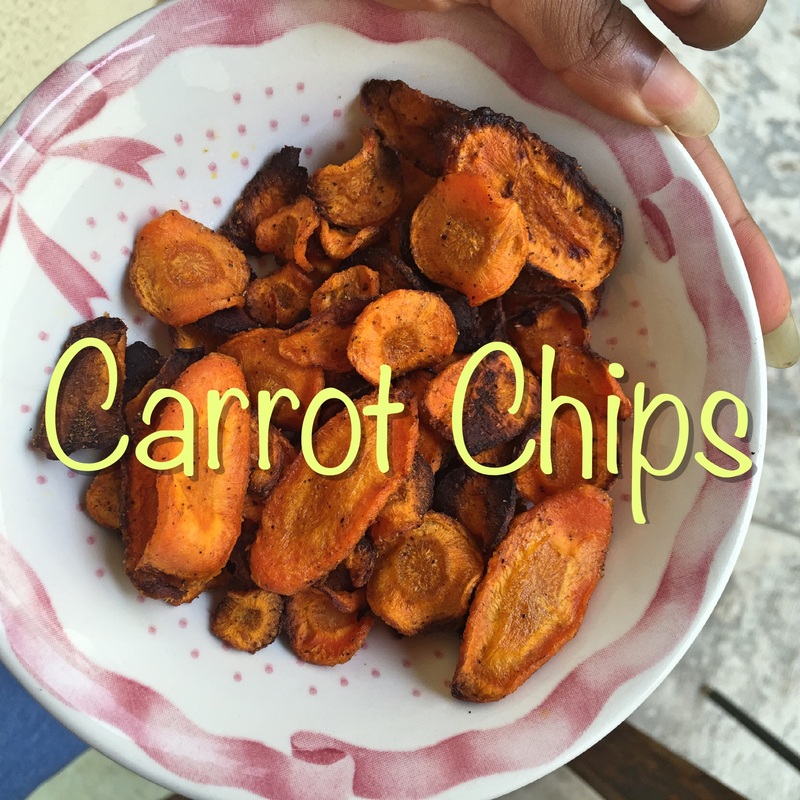 This entry was tagged carrot chips, carrots, chips substitute, diy snack, easy peasy snack, good food, healthy eating, healthy snack, plantain chips. Bookmark the permalink. In fact, as soon as I read about some types of olive oil being unhealthy due to mixture of some sort I switched to sunflower oil instantly. I also read about the fact that sunflower oil is great for high heat cooking. But I believe that both can be used interchangeably.